We invite you to renew old friendships and share memories at your Rostrevor College Class reunion. Members of your year group will be working with the College to host this event and we would be honoured if you would join us. Can you believe it's already time for a reunion? 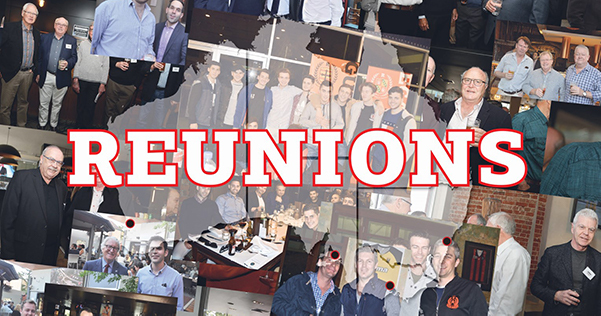 The reunion will be held in the Valley at Rostrevor College on Saturday 13 April 2019 from 3pm to 6pm for a BBQ and Beers. A tour of the College will be held at approximately 5.00pm to aid in the telling of stories and to see how the College has progressed, your group may have arranged a continuation of the event at another venue following the 6.00pm departure updates that may be found on the relevant Facebook or website pages. This will be a great opportunity to rekindle friendships as well as meeting with the President of the ROC Association Patrick Murphy and current Principal Brian Schumacher. We ask you circulate this information amongst your fellow class mates that you may keep in touch with as this will be a great opportunity to reunite on College Grounds. For catering purposes, we ask you RSVP by Friday, 5 April 2019 by registering your attendance at www.rostrevor.sa.edu.au/events. If you have any further queries, please contact the College Development Office on 8364 8374. We look forward to hosting your reunion in April.